In-line with the company’s goal of opening 1000 Moto Hub stores, Motorola India today announced the expansion of 50 new Moto Hubs in the Mumbai city. The Moto Hub store strategy is to strengthen the offline presence of Motorola, which will lead to the rise in sales and market share. All the Motorola products which are available in the online stores will be made available for purchase in the Moto Hub stores, and that too at no extra cost. 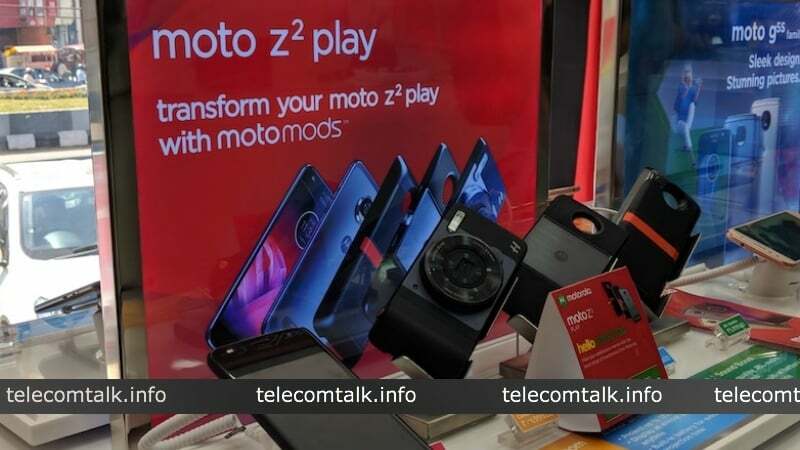 The recently launched flagship smartphone Moto Z2 Force and the 6GB RAM variant of the Moto X4 will be available in these Moto Hubs. The best part is Motorola selling all the products at online prices. The state of Maharashtra is the biggest smartphone market in India as it contributes 13% of the total smartphone sales in India. On top of that, multiple shipments tracking firms claim Mumbai as the second biggest smartphone selling city in the country and further contributes 42% of the Maharashtra market. Motorola says that it had a strong consumer base across Maharashtra and registered a growth of 18% QoQ. “Mumbai has always valued the differentiated and premium experience offered by the brand; hence enhancing the retail footprint in the city,” said Motorola in a press statement. As stated, Motorola is planning to open 1000 Moto Hubs in the near future and recently said that it’s the company first milestone. To recall, Motorola already opened 25 new Moto Hubs in Kolkata just a couple of days ago. In early 2018, Motorola had announced the opening of 50 new Moto Hubs in New Delhi. Motorola also partnered with Poorvika Mobiles across 43 cities in Tamil Nadu, Pondicherry and Karnataka and with Big C and Lot Mobile stores across 55 cities in Andhra Pradesh and Telangana to provide retail access to consumers. Motorola’s move is also part of Xiaomi’s aggressive push towards the offline market. The Chinese company is planning to open 100 Mi Homes by the end of 2018, which will allow the customers to visit the store and experience the products before purchasing. All the Moto Hub stores house the entire portfolio of Motorola devices, including Moto E4, Moto E4 Plus, Moto C, Moto C Plus, Moto G families as well as Moto Z franchise and Moto Mods along with Motorola accessories like on-ear and in-ear headphones, moto shells and covers. Saw in InOrbit Vashi, New Bombay. Concentrate on sending timely updates instead for every device.